Spot lights are light sources that send out a cone of light. It is usually used in stage performances… A cone of light falls on the person on the stage and the movements of the person are tracked by the light. It has a defined conic volume, and is used to illuminate objects within this conical volume. 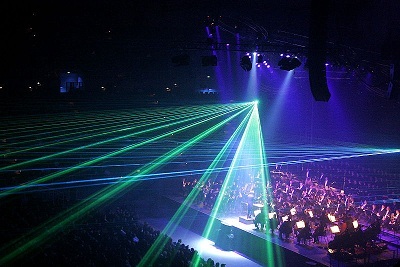 Torches, desk lamps and theater lights are all examples of spot lights, but mostly spot lights are used in stage performances.